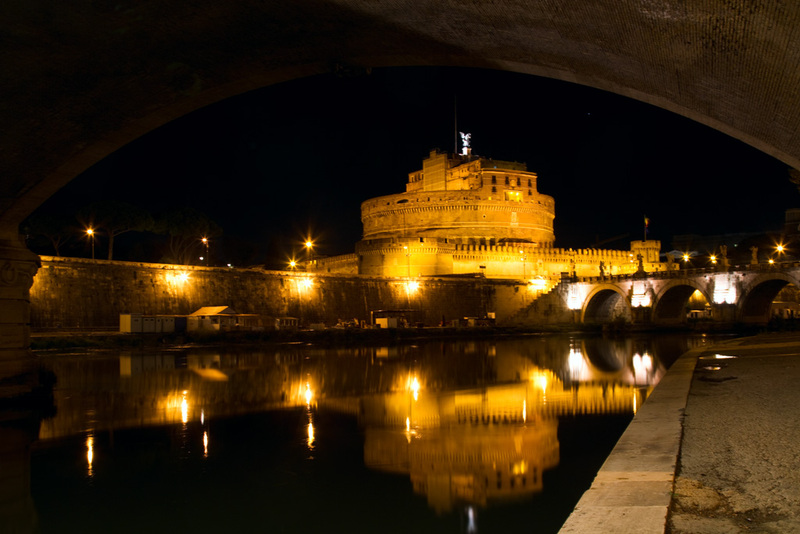 Castel Sant' Angelo was built to be used as Emperor Hadrian's family mausoleum between 135 AD and 139 AD. 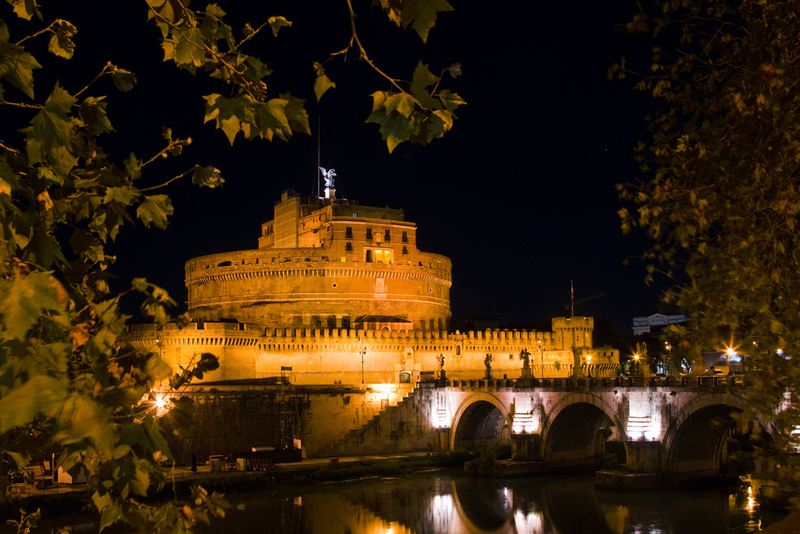 It has since been used as a fortress, Papal residence and a military prison. The building is cylindrical in shape and a wide stone ramp winds its way from the ground floor to the upper terraces. The building consists of a number of passageways and Papal apartments as well as old dungeons. Read on for more images and info. 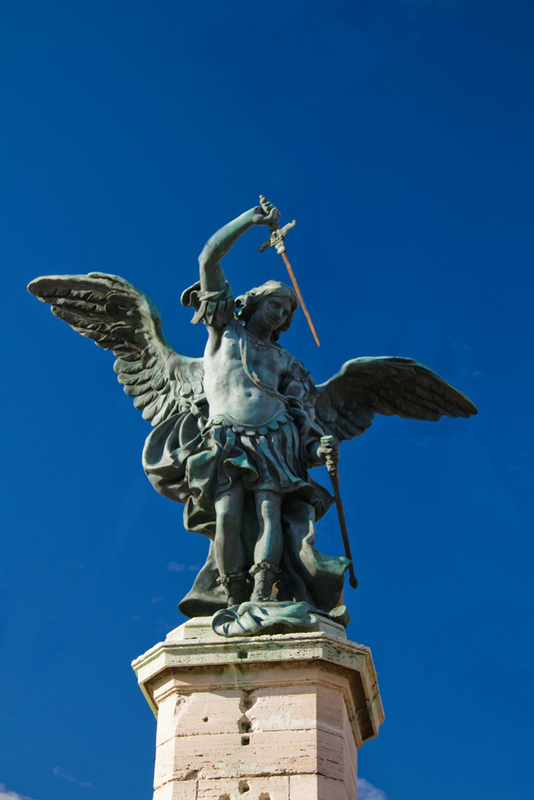 The highest point of the building, the Terrazza dell'Angelo, is crowned by a statue of the archangel Michael shielding his sword. The statue is supposed to be protecting Rome from the plague. The Terrazza is also where Floria Tosca throws herself off the ramparts in Puccini opera Tosca. 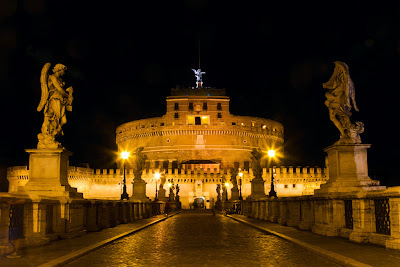 An escape passage, named Il Passetto, leads to Castel Sant' Angelo from St Peter's Basilica and was used by Popes when they needed to make an escape from the Basilica. 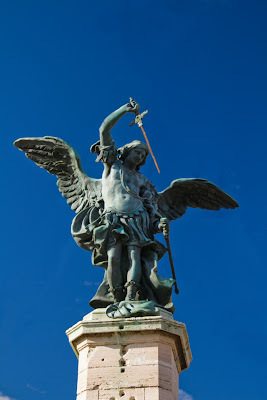 Castel Sant' Angelo also features in a number of films including Dan Brown's Angels and Demons where it was the last existing church of the Illumnati. We stayed close to Castel Sant' Angelo and St Peters Basilica while we were in Rome. I made a couple of trips to both St Peters and Castel Sant' Angelo in the night to get a few images of the buildings lit up. I thought it was the best time to head out with the camera as there weren't too many people around and I was able to photograph both buildings without people walking into the frame. All the images on this post were captured with a Canon 7D and a 24-105mm Lens. I could not find a comment link to ask permission. When I use it I will credit it to you. If you want I will add you to my blogroll. If you do not want me to use it, please inform me and I will gladly delete it. That would be a shame it is a fantastic photo.